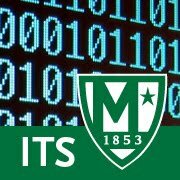 At 8am Saturday January 24th ITS began troubleshooting a network outage affecting several Jaspernet Services including email, Banner forms and self service, moodle, the portal and the college's main website. The outage started at approximately 2:30am on January 24th when a key piece of network hardware failed in RLC. Our engineers began troubleshooting at 8am and were able to resolve the issue at approximately 2:30pm. As of that time all Jaspernet services became fully operational. We apologize for the inconvenience and are working to make our infrastructure more robust and fault tolerant. We will be outlining these efforts in future blog posts.